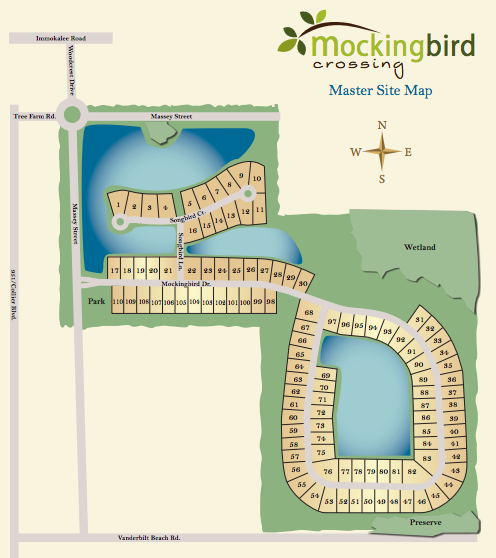 Mockingbird Crossing is a gated community built by D.R. Horton on the North-East side of Naples. The community is only 110 single family homes big and offers low HOA costs. There are no common amenities in the community, which keeps HOA costs low.